In which we (finally) get back to playing the main quest, heading to the ruin of Ustengrav (or Austin Grove, according to the Closed Captioning) to recover the ancient Horn of Jurgen Windcaller. Still trying to avoid the main quest, we go after another Daedric artifact and rid the world of that greatest of all evils... Lydia! Still struggling with a newfound connection to the negative side of The Speed Force and destructive powers he can't control, The Flash is suffering mightily in the wake of his latest battle with The Reverse Flash. He will have little time to find his footing, however, as Shrapnel attacks Central City and his secret identity, CSI Barry Allen, is tasked with finding a crooked cop that is causing important evidence to go missing. The Flash #29 proves an unintentionally excellent case study in how two different artists working on a single comic can prove detrimental to the work as a whole. Both Pop Mhan and Christian Duce are great artists and I've enjoyed their previous work immensely. Unfortunately, their styles don't mesh well together and the visual continuity of the book is virtually nonexistent. 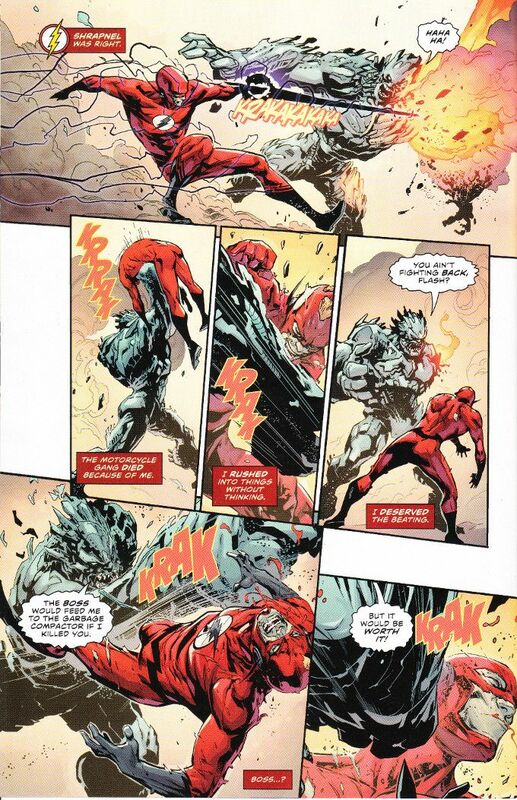 Mhan's heavily detailed style doesn't suit the opening fight between The Flash and Shrapnel and most of the fine details are lost in too-small panels under heavy inks. Duce's work fares better, but suffers in that this issue is light on action after the Shrapnel fight. As a result, Duce never really gets a chance to show off, mostly illustrating the scenes of Barry discussing his case with his co-workers. The one constant to the artwork is Hi-Fi's colors look fantastic throughout. While the artwork may be at war with itself, Joshua Williamson's scripts remain a bastion of harmony. The story steps away from exploring the ramifications of Barry's new powers, for the most part, focusing instead on Barry Allen playing detective. It is an odd thing, given his job, that so few Flash comics emphasize Barry's powers of deduction outside of a scientific environment and it is gratifying to see that element of Barry's talents come out when he is suddenly unable to use his powers reliably. The Final Analysis: 7 out of 10. A great story with good art, which would have been better with only one artist working on this issue. In which, in a desperate bid to avoid working on the main quest, we go off in search of the pieces of Mehrune's Razor. We also learn two important lessons - Always Double Check What Shout You Have Selected So You Don't Wind Up Whirlwind Sprinting Off A Cliff and Snow Trolls Can Apparently Testify In Court. In which, having satisfied the Goddess of Thieves' need for vengeance, we become the new head of the Thieves' Guild, get a fancy new set of armor and set about cementing a new smuggling network to restore the guild to its former glory. I've been accused of hyperbole before regarding Injustice 2, so my word that this comic is a must-read will likely be taken with a grain of salt. So be it. If you love amazing art and heroic tales of daring do, you need to read this issue. Even if you've never read Injustice 2 before, jump in with this issue. It's THAT good. Having stolen The Skeleton Key, we must now return this most holy artifact of the Goddess of Thieves back to the Twilight Sepulcher from whence it came, in a side-quest I like to call "Only The Petulant Man Will Pass." In which we are recruited to become a Nightingale. Thankfully this is a secretive order of elite thieves in the service of the goddess of darkness and not a doo-wop singing group. Unexpectedly arriving at the site of a Viking expedition, The Doctor and Bill were stunned to find they were not the only recently arrived visitors from the heavens. The good news is that the other new arrivals - a party of Ice Warriors - are not looking for a fight. The bad news is they've come to Earth to dispose of a threat from their home-world of Mars - the sentient, water-traveling virus known as The Flood! As a Doctor Who trivia buff, I love it whenever the media outside of the show attempts to build upon the mythology and link certain elements. 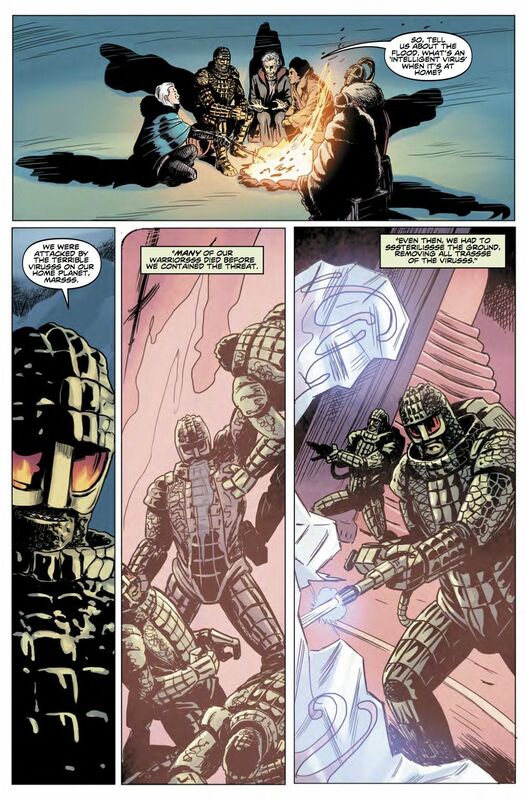 In this case, everyone's favorite Martian frienemies - The Ice Warriors - are finally given a connection to the menace from The Tenth Doctor's penultimate adventure, The Waters of Mars. Yet this second chapter of The Wolves of Winter proves a ripping yarn on its own merits and shows Richard Dinnick to be a skald as skilled at spinning tales as he is recanting history. 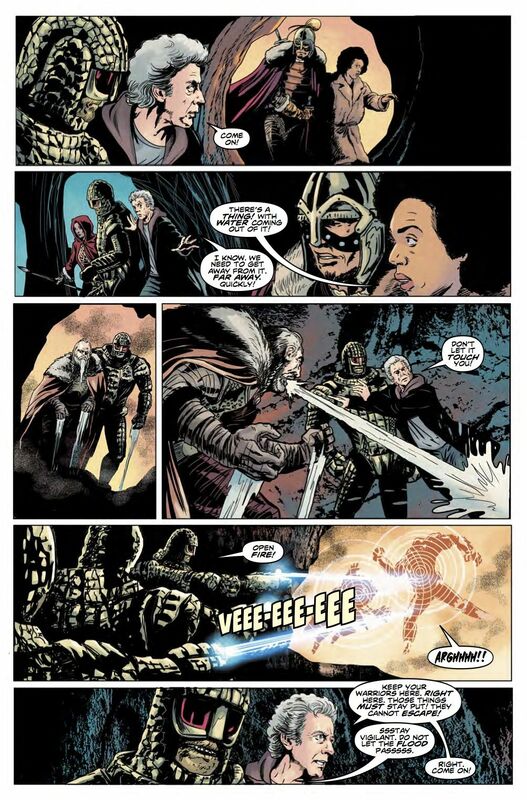 Paired with the amazing art of Brian Williamson and the colors of Hi-Fi, this book should be on every Whovian's pull list. 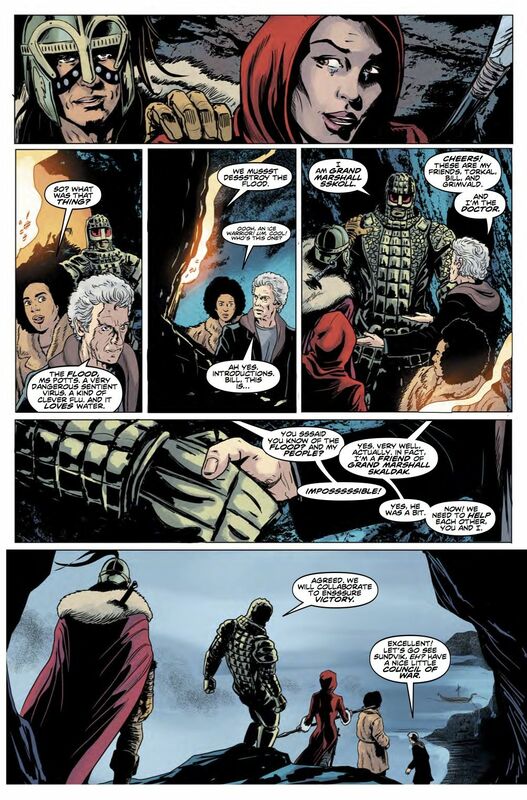 Doctor Who: The Twelfth Doctor: Year Three #6 releases August 23, 2017. 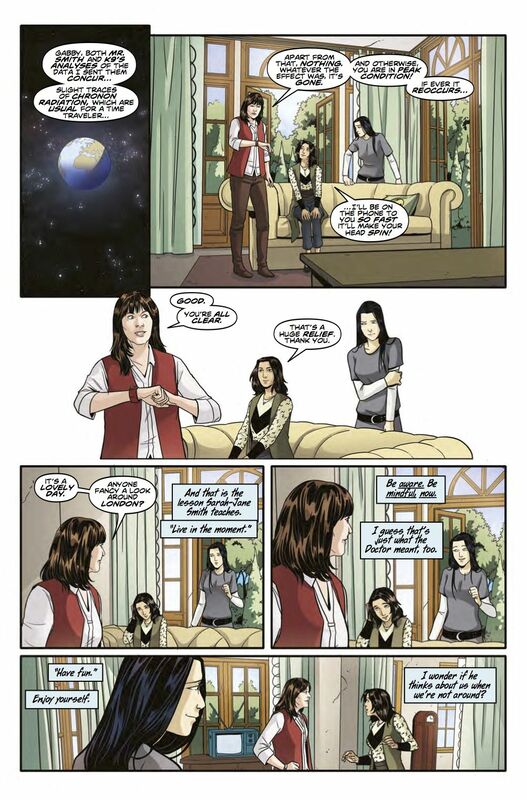 Left in a London safe-house while The Doctor went off to investigate a vortex anomaly unlike anything he'd encountered before, Gabby Gonzales and Cindy Wu have both found a welcome confidant in Sarah Jane Smith. Originally come to investigate an energy spike apparently caused by Gabby's newfound powers, Sara Jane has proven all too eager and able to show the two young women around London and offer her advice on how to cope with life, the universe and everything. Yet could the girl's recent problems somehow be tied to the mystery The Doctor has rushed into? 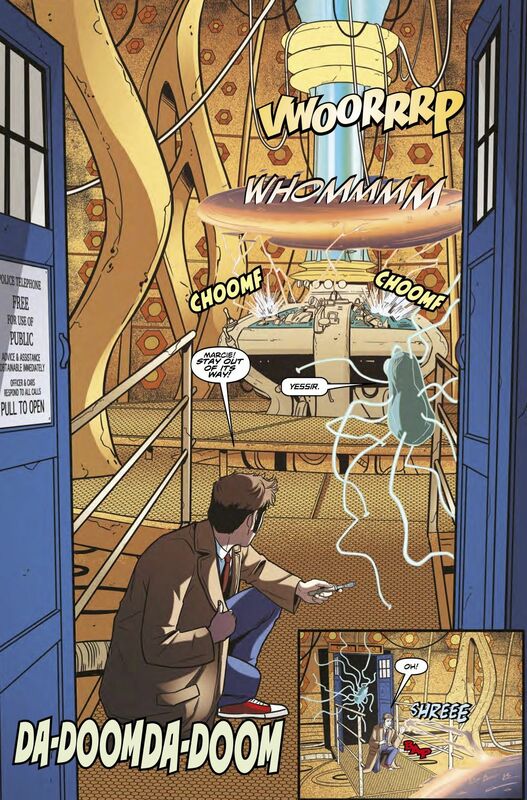 This latest issue of The Tenth Doctor's adventures is a must-read for all fans of Sarah Jane Smith. 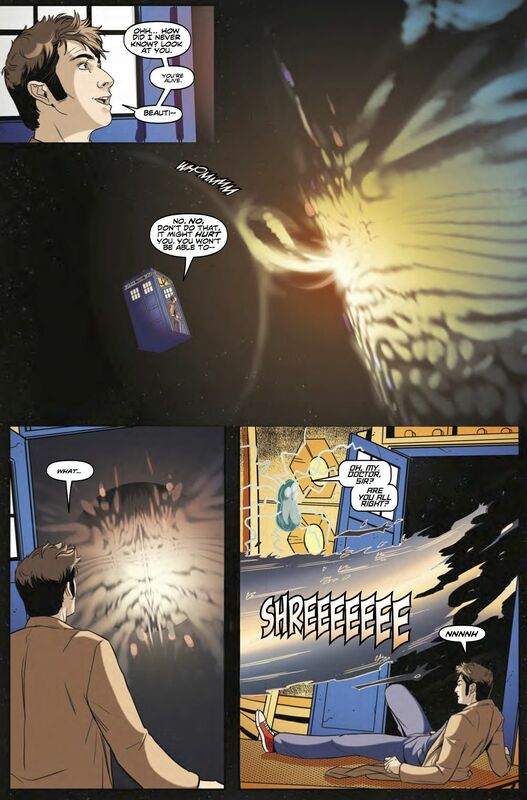 Nick Abadzis has perfectly captured the character's voice and her relationship with The Doctor's latest companions is so instantly rich and real that one can hardly believe they met for the first time last month! The rest of the story is entertaining, though this book is more focused on relationship drama than cosmic crises. The artwork proves just engaging. Giorgia Sposito proves equally capable of capturing the likenesses of the actors from the show as she is at depicting the exotic allure of outer space. 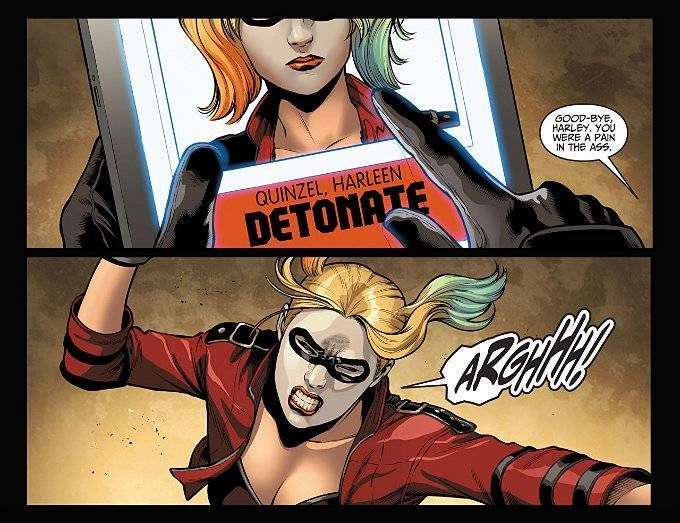 And Arianna Florean's colors provide the perfect finish to every panel. The Final Analysis: 10 out of 10! A must read for all fans of The Tenth Doctor and Sarah Jane Smith. 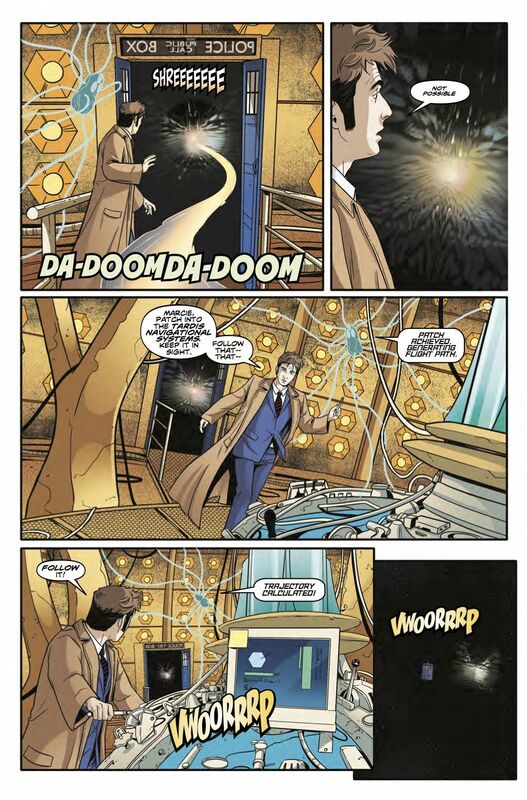 Doctor Who: The Tenth Doctor: Year Three #8 will be released on August 16, 2017. It can be purchased at your local comic book shop or on-line at Comixology.com. 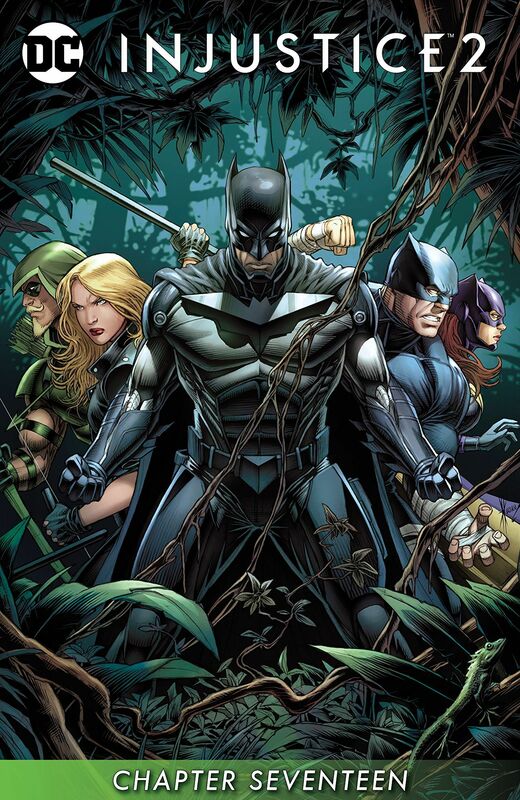 Trapped in Ra's Al Ghul's secret Amazon Rainforest complex, the new Justice League's mission to rescue their children has hit a snag. Can they win the day even with their secret allies in place and the kids coming up with their own escape plan? I don't think you readers fully appreciate how difficult it is for me to not spoil every issue of this wonderful little series. Tom Taylor packs every issue with a sense of fun and a clear love for these characters that few writers can equal. Such is the enthusiasm that he inspires that I want to share everything awesome about this book with you. The artwork is the equal of the story. I've been a fan of Daniel Sampere, Juan Albarran and Rex Lokus for a while now and I can say without hyperbole that their work on this issue is Eisner worthy. Truly, this is a gorgeous comic. The Final Analysis: 10 out of 10. This is everything superhero comics should be. In which we prove Mercer's treachery to the guild and are given permission to investigate his mansion. Hilarity ensues as I prove to be too stealthy to be detected by Mercer's personal guard Vlad... so long as I'm kneeling right in front of him and not sneaking through the next door neighbor's yard. With the Artificial Intelligence created by The Order of St. Dumas poised to take over every computer network in Gotham City, the only hope may lie within the brainwashed mind of Jean Paul Valley - the man who would have been Azrael. Will a change in program save the day? Or will Zatanna's magic have to work a solo act? The final chapter of Intelligence continues the larger problem that the storyline as a whole possessed. While I appreciate the effort to restore Azrael's place in The Bat Family in the wake of Rebirth, it has proven difficult for the reader to develop any sense of attachment to Jean Paul as most of the story has focused on other characters telling us about Jean Paul rather than letting us learn about him through his actions. Another problem is the much more riveting subplot focused on Zatanna and Batman, which only distracts away from the main story. The artwork, at least, remains phenomenal. Messrs. Martinez, Fernandez and Anderson are one of the greatest artistic teams working in comics today and every page of this book looks fantastic throughout. Would that they had a stronger story to illustrate this time around! The Final Analysis: 6 out of 10. Great artwork, but despite being nominally focused on Azrael, the story makes him seem like a supporting player and Zatanna's presence only distracts further from his story. In which - having discovered the treachery of Thieves' Guild leader Mercer Grey (well, treachery towards the guild itself - not the general treachery you'd expect from the Chief Thief) - we seek out a scholar to translate the journal of the former Chief Thief and pull a heist on the Dwarven artifact museum in Markarth. Multiple sources have confirmed a traitor among The Titans! As tensions mount and tempers flare, the team's secrets will be lain bare. With the distrust among them stronger than ever, can The Titans pull together when an old enemy of Garth's rises up from Atlantis seeking to poison the surface world? 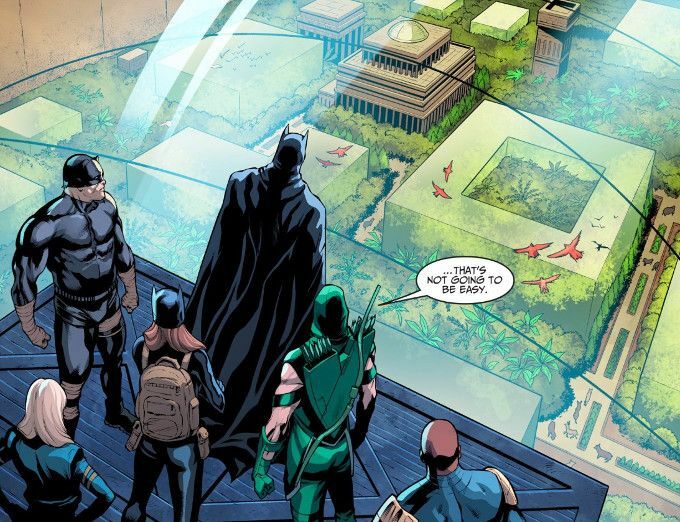 The biggest problem with Titans #14 is that there's too much going on. This is a common problem with team books and Dan Abnett tries to ensure that the entire cast gets a little bit of time devoted to their issues. Unfortunately, the end result shortchanges everyone. Ironically, the worst victim of this minimization is Garth, who is nominally meant to be the central character. 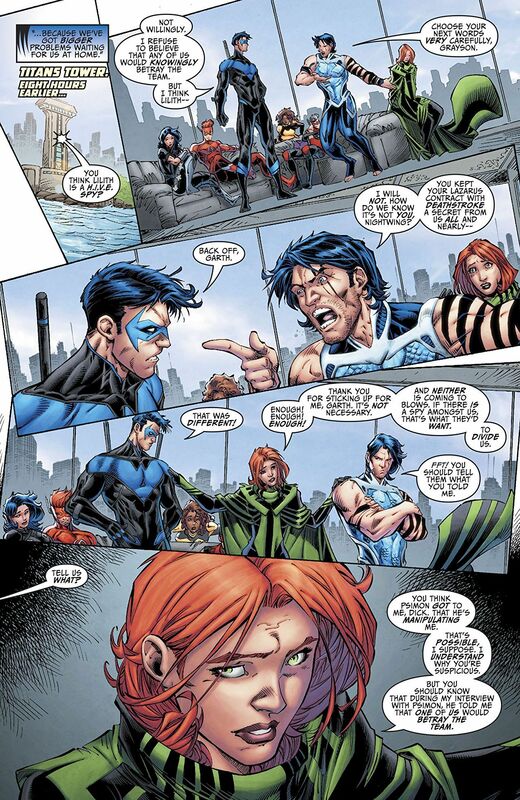 Easily the least developed of the Titans thus far, more time is spent on the tension between himself and Nightwing than on the revelations regarding Garth's past or his relationship with Lilith. 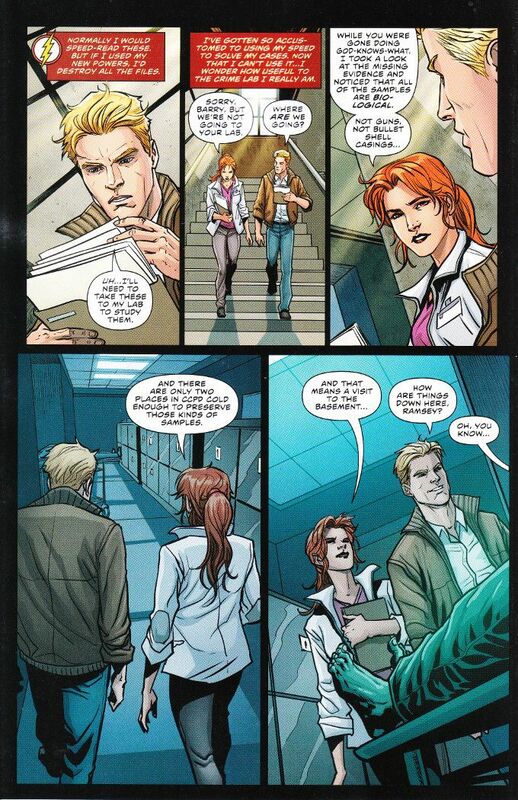 This is unfortunate, because Garth's romance with Lilith is far more interesting and seems more natural than the sudden love triangle between The Flash, Arsenal and Donna Troy. This story line, in turn, has gotten more page time than Donna's identity crisis in the wake of the revelation that everything she knows about her past is wrong. And those are just three of the subplots that are touched upon in this issue. There's many more I'm ignoring. Brett Booth's artwork is similarly mixed. Booth is a fine artist but his poses are often forced and the flow of action from panel to panel often looks ludicrous. Booth seems unable to draw his characters at rest. Everyone's hair and bodies seem to be continually in motion even when they are meant to be standing still, as if there were a stiff wind continually causing capes to billow and hair to blow. 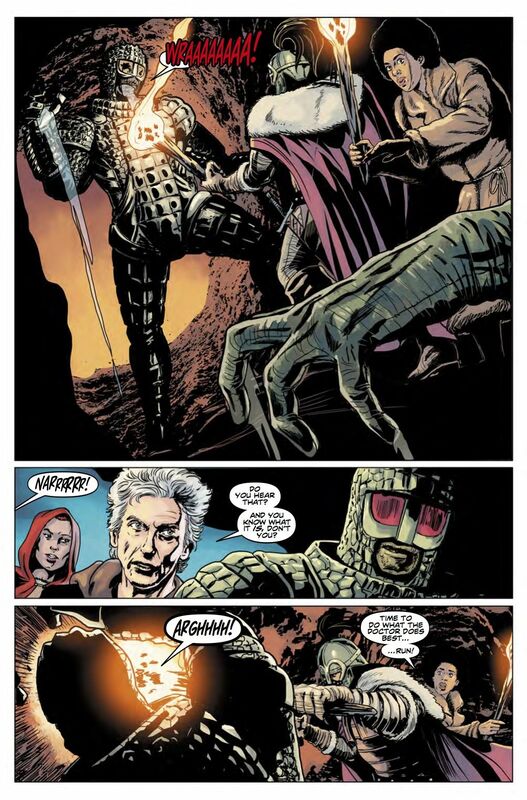 The inks by Norm Rapmund and Andrew Dalhouse's colors are fine enough and this is still a good-looking comic. It just appears to be off-center at times due to the continual sense of motion. The Final Analysis: 6 out of 10. A busy story with artwork that doesn't suit the action at times. The Birds of Prey wind up in the thick of things, as the criminal past of Gus (a.k.a. the new Oracle) comes back to haunt him. 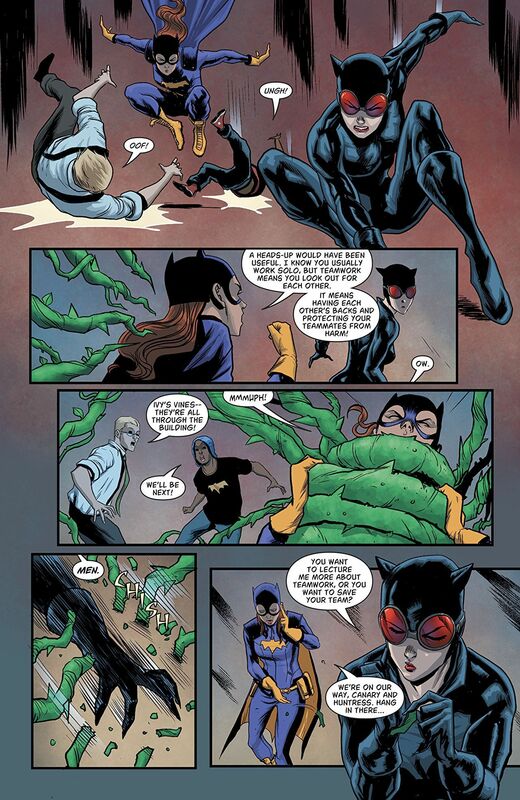 Tangled in a plot involving a corrupt bio-engineering firm and the machinations of both The Calculator and Catwoman, things become even more complicated when Poison Ivy launches her own attack on the company's headquarters. Even if they survive with their lives and integrity intact, will Gus still have a place with the team? The conclusion of Source Code is an enjoyable if somewhat rushed spectacle. Julie Benson and Shawna Benson's scripts are as strong as ever, but I wish they'd had a bit more time to let this story unfold at a more leisurely pace. 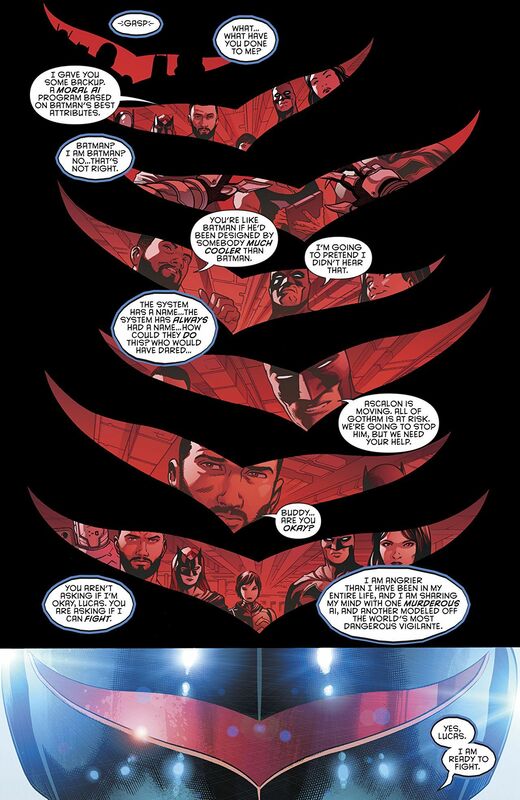 If nothing else, I'd like to have seen a flashback tale detailing The Calculator's past encounters with the team in the Rebirth reality rather than the quick montage we got in the last issue. The artwork, unfortunately, remains the series' weak point. Roge Antonio's individual panels look fine but the flow of action between them is a bit odd at times. Allen Passalaqua's colors look decent enough, though there is a coloring mistake in this issue where Canary is given Barbara Gordon's hair and skin tone in a close-up that the editors really should have caught. The Final Analysis: 7 Out of 10. Enjoyable in spite of its flaws. In which we team up with the head of the Thieves Guild to take down the rogue rogue who killed the previous head of the Thieves Guild. Skulduggery ensues. In which - having found the not-so-secret passage - we continue stalking the disloyal Golum-Ei and discover an even greater act of treachery. In which - having restored the reputation of the Thieves' Guild - we return to Solitude to have a heck of a time following a not-so-loyal guild member through a warehouse. Thrill as Mjoll reminds us that we're not supposed to be in there yet ruins our chances of a stealthy escape by attacking the guards I'm trying to avoid as we try (and fail) to find a secret passage! The quest to rebuild the Thieves' Guild's reputation leads us to Windhelm, where a gang of Altmer thieves are trying to establish a rival guild. Guess who gets to stop them? In which we indulge in some simple, basic thievery in Whiterun and Riften and discover how hard it is to honestly "steal" in cities where everyone is your friend. In which, to continue improving the reputation of The Thieves Guild, we journey to Whiterun to help Clan Battleborn with a jailbreak then head off to Markarth to aid a silversmith in stealing back what was stolen from him by non-union brigands. All this and a dragon fight! In which, having unlocked the powers of The Crown of Barenziah, we get back to the honest business of thievery and restoring the good name of The Thieves Guild by pulling a special job in Solitude. In which we storm the rogue mage haven at Fellglow Keep and the respectable mage haven at the College of Winterhold to retrieve two of the last four Stones of Barenziah before taking on a dragon in its own lair! Tom Taylor continues to nail it with every passing issue of this series. The high point here is the interactions between "the secret weapons" as they go to work and Daniel Sampere draws their action sequences with the appropriate sense of fun while also capturing the mysterious aura of the deep Amazon Jungle setting. Juan Albarran's inks further add to this sense of mystique while Rex Lokus crafts some impressive lighting effects with the colors, particularly in the scenes set on Batman's plane. This is a beautiful comic, with some good comedic moments as well as genuine pathos. In which we burgle the correct Black-Briar estate this time, in order to retrieve a Stone of Barenziah and steal a prize horse.